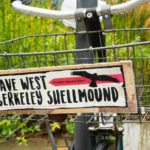 by Chris Walker, Landscape Architect. This map shows two mounds on either side of the Spenger’s parking lot (the development site is in orange, the two mounds are indicated as hatched circles to the north). 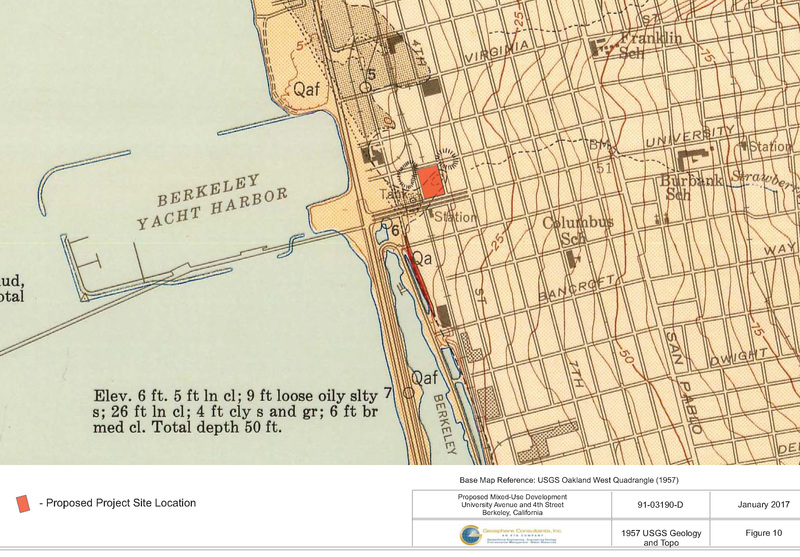 What is unique about this map is that it has historical line work superimposed on a modern street grid. 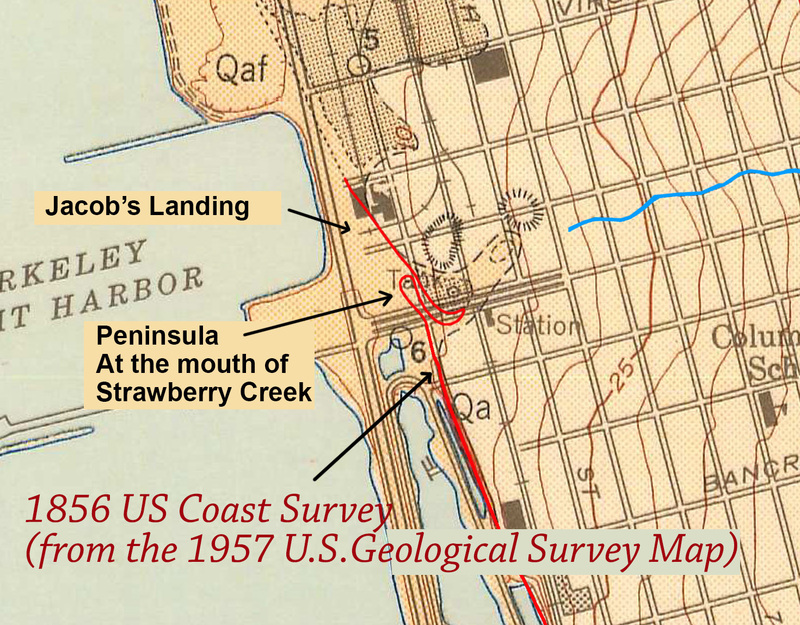 This map was created by the U.S. Geological Survey (USGS) in 1957. In short, everything that we were interested in, had been superimposed onto this new map from another, older, unpublished map. 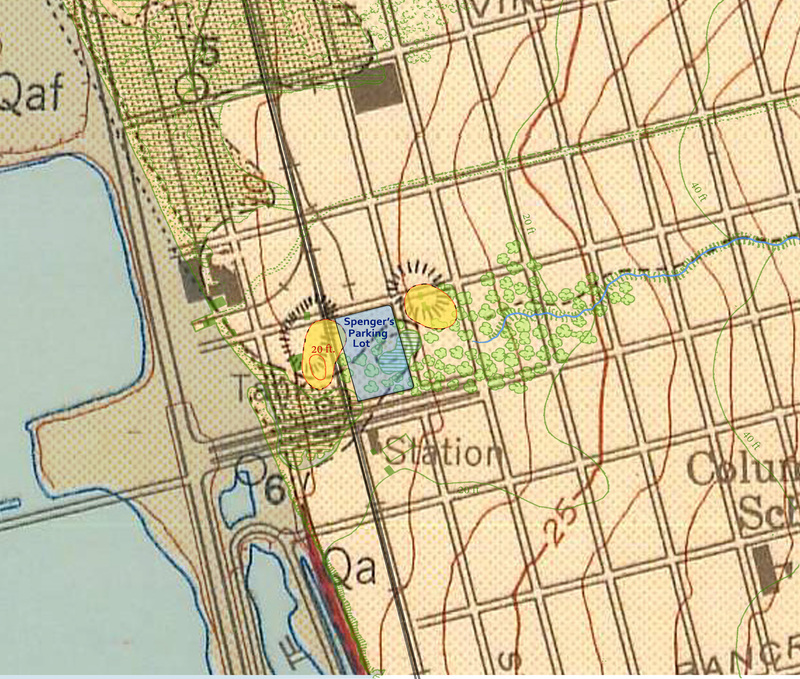 Under the dotted line symbol above is the name of this unpublished map. As you can see, the mounds (in yellow) tell a different story. I assumed that accuracy for superimposing these maps would be based on corroborating maps, and a wide set of reference points to register the maps to one another. 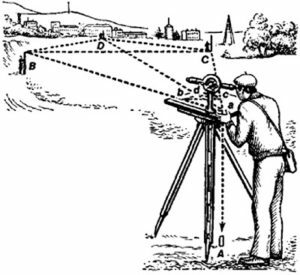 The farther these points are away from each other, the more accurate the rotational and spatial registration would be. 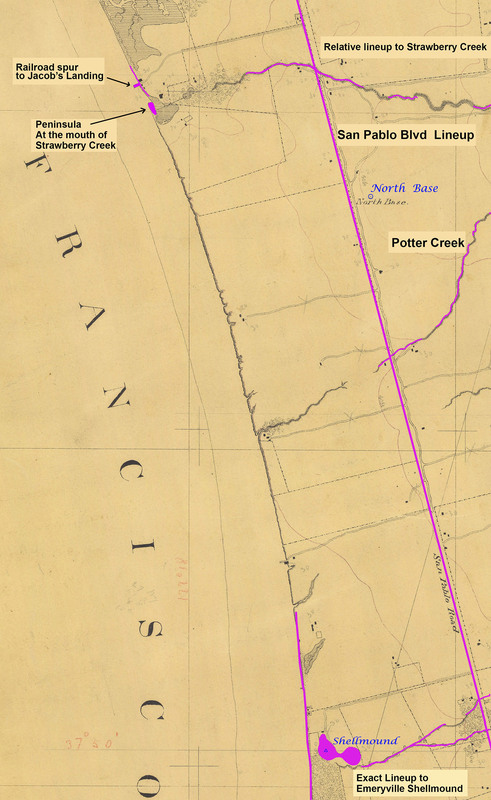 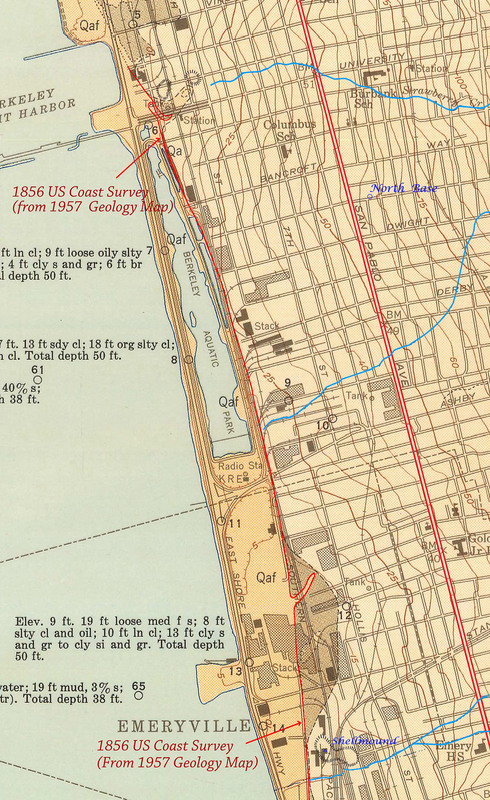 In this case, I registered landmarks from Fleming Point in the north, to the the Emeryville Shellmound in the south. 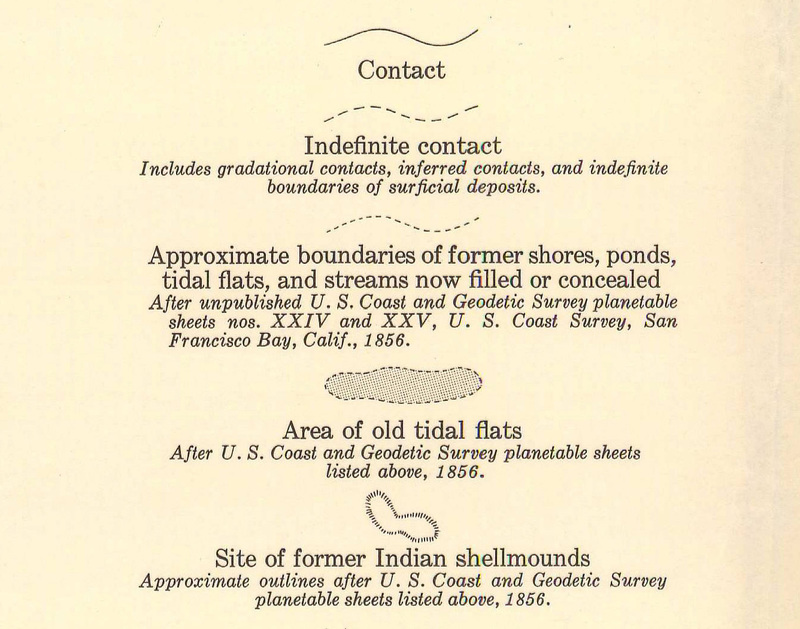 The base stations and landmarks that the surveyors and map makers used in 1856. The coastline, creeks and roads. Recognizable landmarks, specifically, Jacob’s Landing and Railroad Spur and the small peninsula comprised of alluvial deposition that had built up at the mouth of Strawberry Creek. The U.S. Coast Survey map makers used recognizable high points and monuments in the landscape as Surveying Stations for use as a base for triangulating positions and distances. 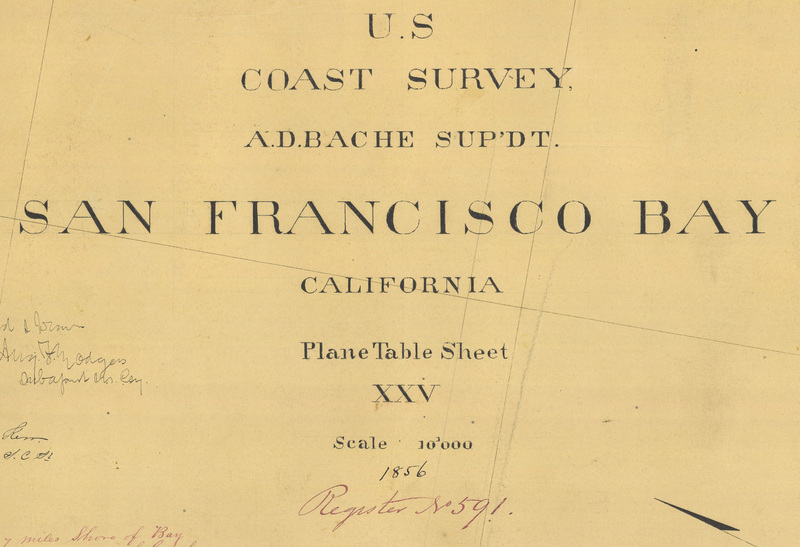 These base stations were measured against each other to create higher degrees of accuracy. 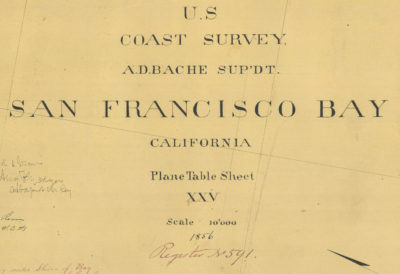 The triangulation map above was created in 1882, at a time when surveyors were using prominent industrial features such as spires and smokestacks as well as geographic features, such as the top of Yerba Buena Island, as reference points for their trigonometric calculations. In other words, a measurement between the two bases was so accurate that it was only off by one foot across 10 miles. 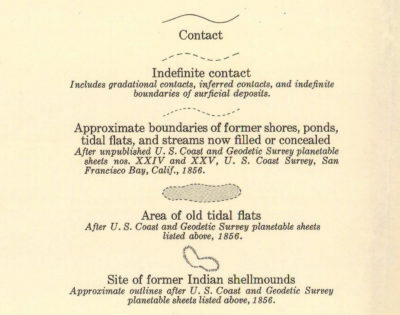 We can now systematically create a contemporary map with a more precise Shellmound footprint. 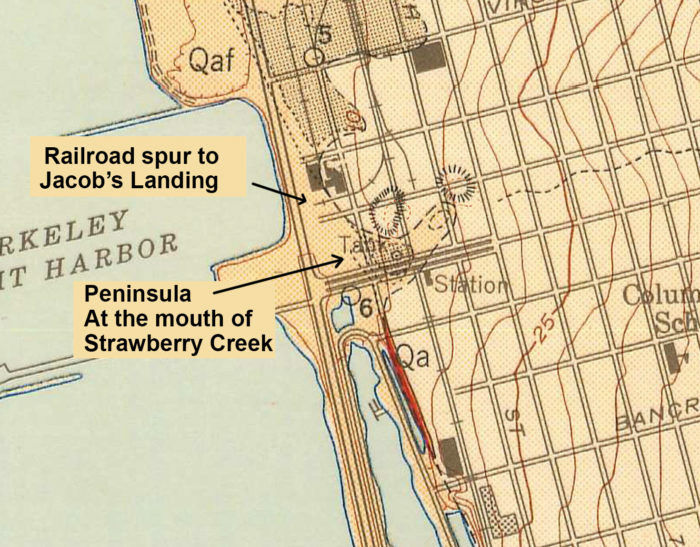 Note that Jacob’s Landing, the Coastline, Strawberry Creek, and the peninsula at the mouth of Strawberry Creek, are all lining up. 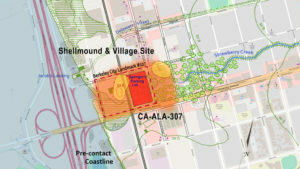 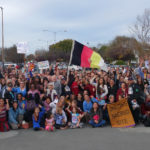 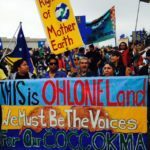 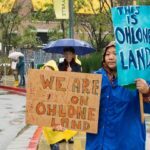 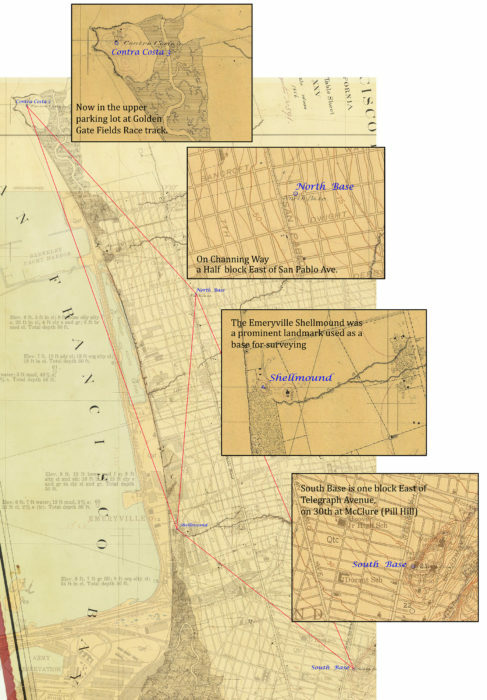 With contemporary streets we can now see how the Berkeley City landmark and historical resource boundaries are embracing the shellmound footprints. 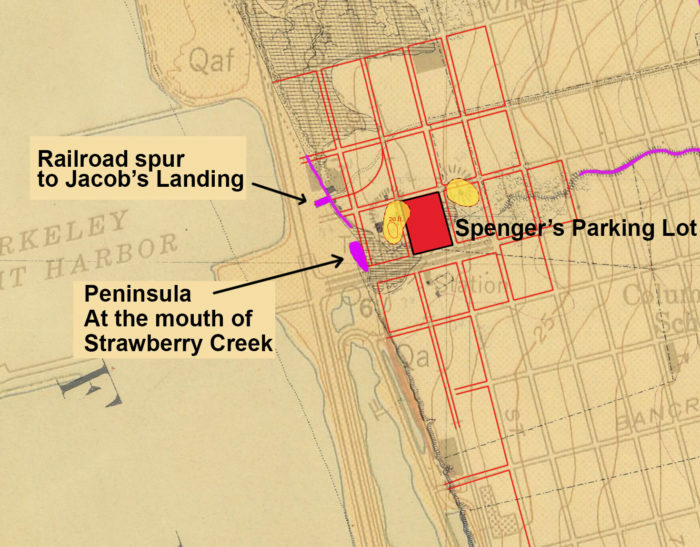 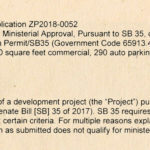 The Spenger’s parking lot is at the center of one of the most valuable historical resources in the state of California. 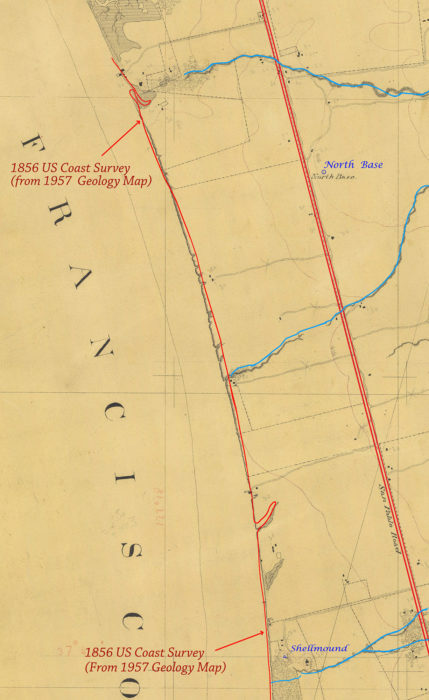 And the 1856 Coast Survey re-inserted into the 1957 USGS map shows that the western shellmound is overlapping the Spenger’s parking lot in the northwest corner. 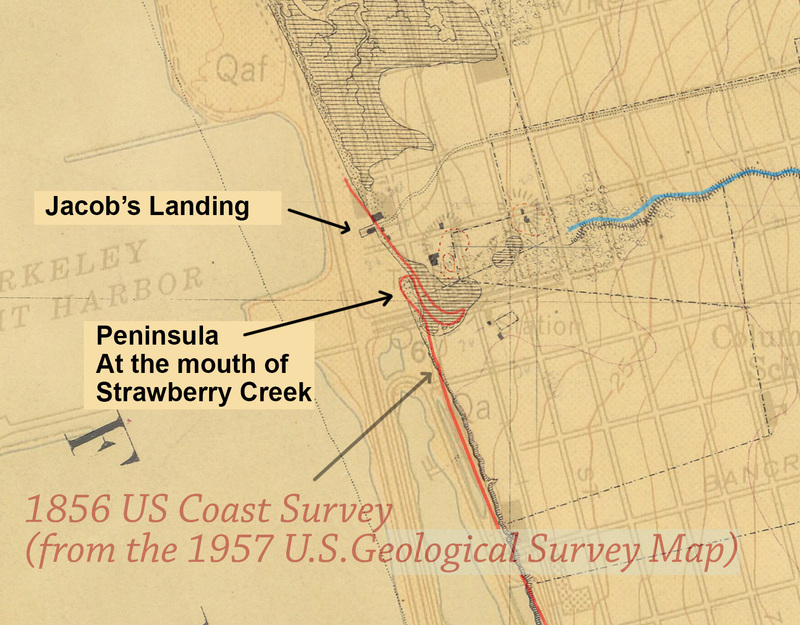 Based on the research above, we know that the US Coast Survey team utilized the most accurate mapping techniques of its time. 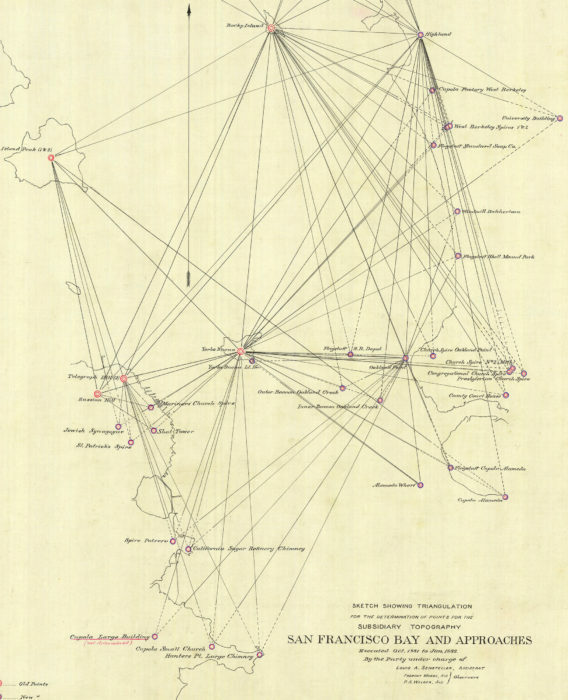 And that the accuracy they achieved is comparable to modern mapmaking. 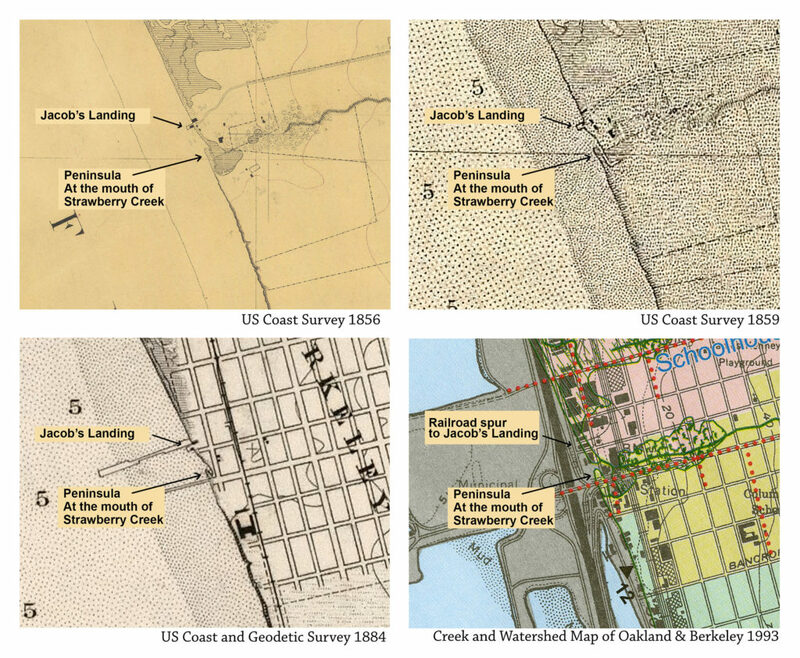 We also know that the local landmarks used for alignment were stable for at least 30 years. 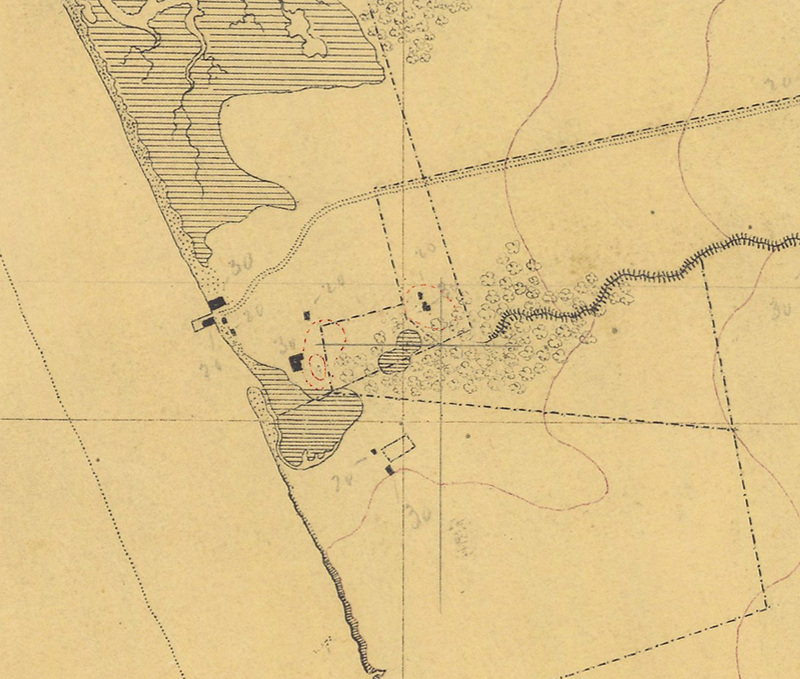 Lastly, we owe a debt of gratitude to David Kerr, the surveyor who drew the 1856 T- sheet, who lovingly set out to document the West Berkeley Shellmound and ecosystem. 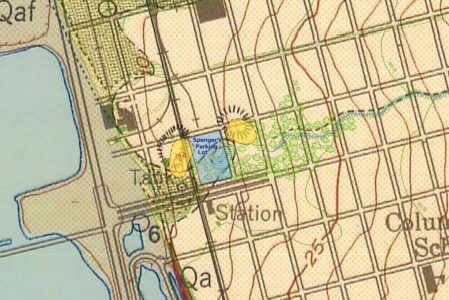 The accuracy of the shape of the mounds and the 20-foot topo line speaks for itself.